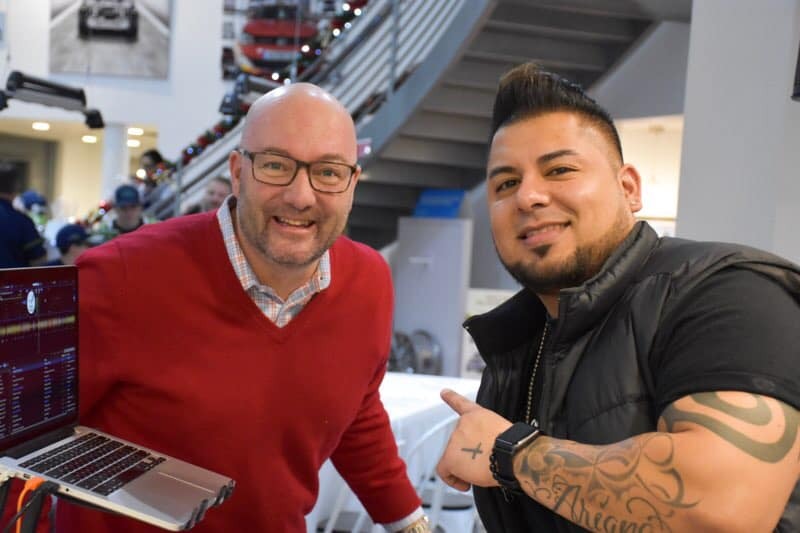 On December 4th we hosted our 5th annual Christmas event! 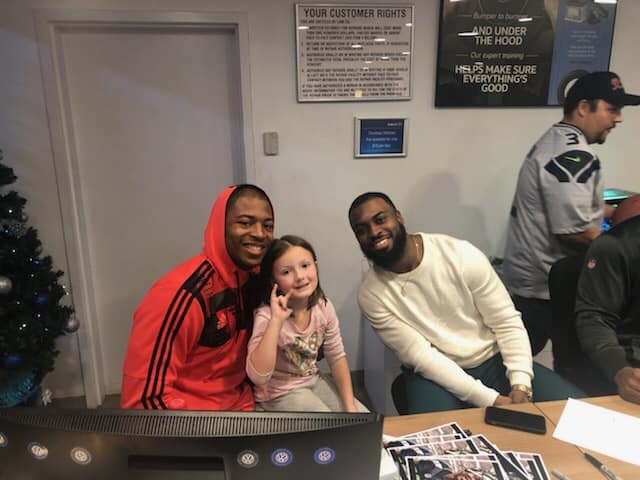 Tyler Lockett, Mike Davis, JD Mckissic and a whole lot of 12’s helped us bless a lot of people at Christmas this month! 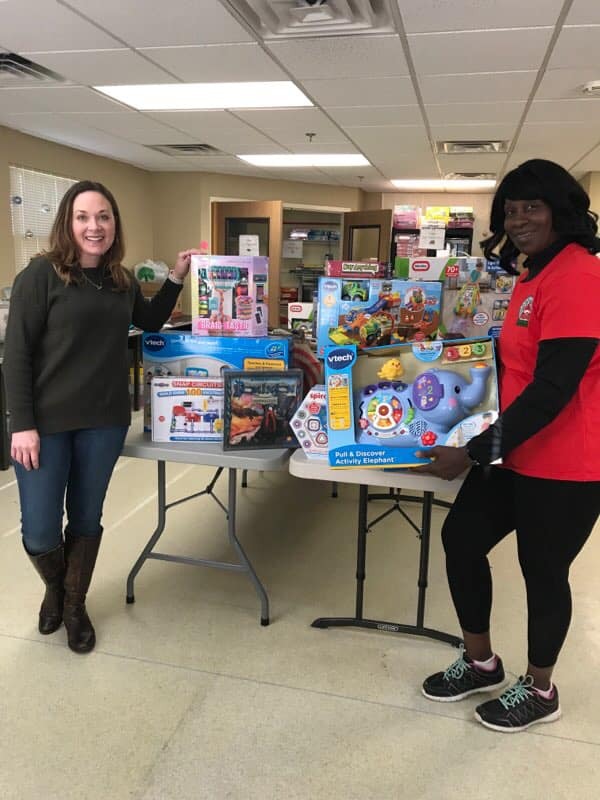 We were able to get thousands of pounds of food for the Auburn Food Bank and 2 Atlas’s full of toys to the soldiers on base at Santa’s Castle at JBLM. And 2,000 meals for those in need at the Rescue Mission of Tacoma. We are Teaming up with the Tacoma Humane Society to help save animals at the largest animal shelter in Washington! Thank you to Tyler Lockett, D’Andre Elliott, Trevone Boykin and Kenny Lawler for helping us bless the community this Christmas Season. 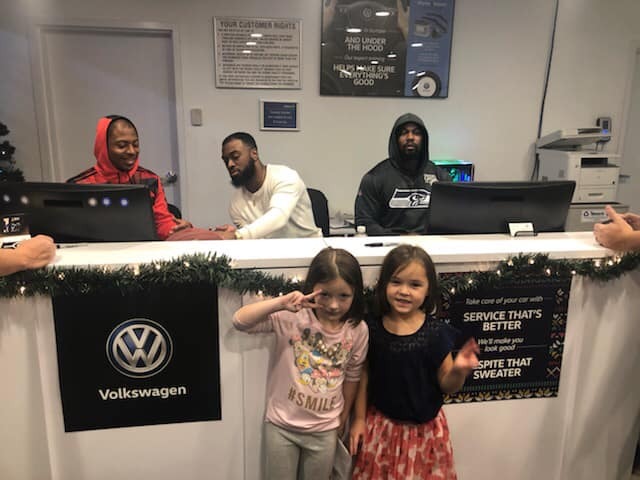 Our customers and community are why we do what we do at Auburn Volkswagen. Please take some time today to learn about how we are blessing and making a difference in the community. 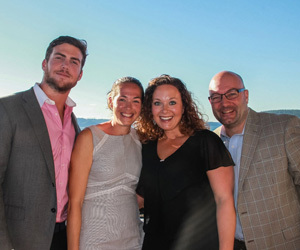 Contact us if you’d like to learn more about these amazing non-profits that we partner with. 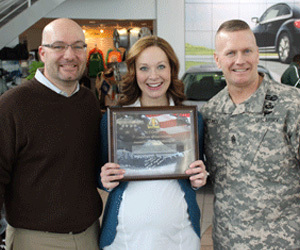 Auburn VW, in partnership with PMBA, proudly support our local military families on JBLM through Operation Turkey Drop, Operation Ham Grenade, and the Santa’s Castle Program. In support of the Auburn Food Bank & JBLM Santa’s Castle, we raised almost 3,000 pounds of food and lots of toys for children. KidCo is a community partnership program that offers free school assemblies and resources to assist school teachers and administrators with equipping students with necessary tools to encourage a safe and positive learning environment. A refuge for those with no place to turn. Serving the homeless and hurting community in Tacoma and Pierce County. 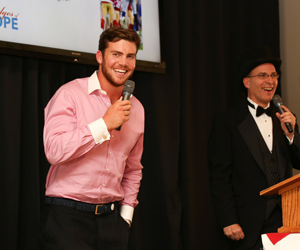 Below, Auburn VW at the TRM Fundraiser with special guest, Cooper Helfet! 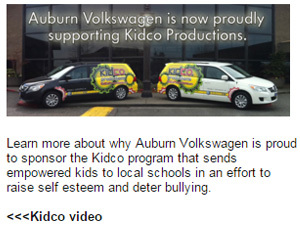 Auburn VW is proud to help end the cycle of abuse within our community. Olive Crest helps break the cycle of child abuse and enable at-risk youth and families to become healthy, productive citizens. From counseling to foster care services to transitional living assistance, Olive Crest offers a broad spectrum of care for abused, neglected, and at-risk children and their families. 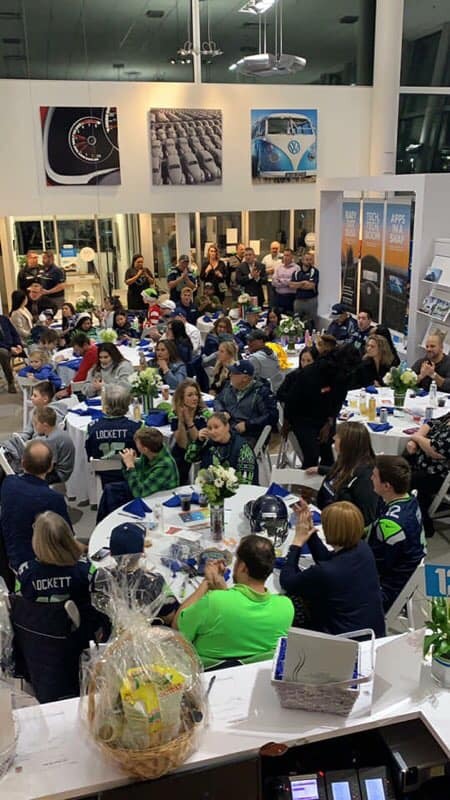 Cancer has touched many of us in some way, so Auburn Volkswagen decided to fight back by raising funds and walking in our local American Cancer Society Relay For Life event. Please join our team or make a donation. 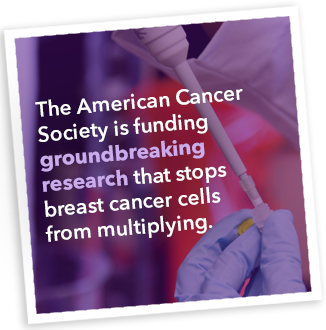 Saving lives from cancer starts with one team, one participant, one dollar at a time. Young Life thinks the world of kids. We believe that they deserve to know what life can hold for them. Young Life leaders are caring Christian adults who share their hope as well as fun and lasing relationships with kids. Leaders are committed to being involved in kids’ lives. Auburn High School students involved in Auburn Young Life were awarded a scholarship to attend Malibu Camp in Canada. This is the third year Auburn Volkswagen has been involved in Auburn Young Life. D.A.D.S. mission is to give fathers hope by walking together in supportive community, and helping navigate relationship and legal barriers which separate them from their children and families. Stronger Fathers, Healthier Communities. The Susan G. Komen organization is the world’s largest nonprofit source of funding for the fight against breast cancer. We couldn’t be happier that we are able to contribute to the cause and help raise awareness. 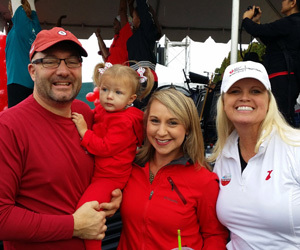 The Heart Walk is the American Heart Association’s premiere event for raising funds to save lives from this country’s No. 1 and No. 5 killers – heart disease and stroke. Designed to promote physical activity and heart – healthy living, the Heart Walk creates an environment that’s fun and rewarding for all. LifeWire envisions a world in which every person lives in a safe environment, free from oppression and with the opportunity to thrive. Every day the abused children, victims and families who come to LifeWire are winning the battle against domestic violence. Every year, thousands of people with disabilities and disadvantages struggle to find jobs in our 15-county service area. At Goodwill of the Olympics & Rainier Region, we believe that by training people with the necessary skills to find employment, we are helping to strengthen families, reduce dependency on government subsidies, and build stronger communities. Raise awareness of Goodwill’s mission to help people with barriers to employment got to work by providing jobs, job training and educational opportunities. Raise funds to support Goodwill’s job training efforts. Offer employers and employees a fun, easy and affordable way to support their community. 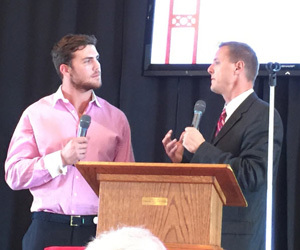 Presidential Prayer Breakfast – Building bridges around Jesus’ Principles with worldwide leaders.